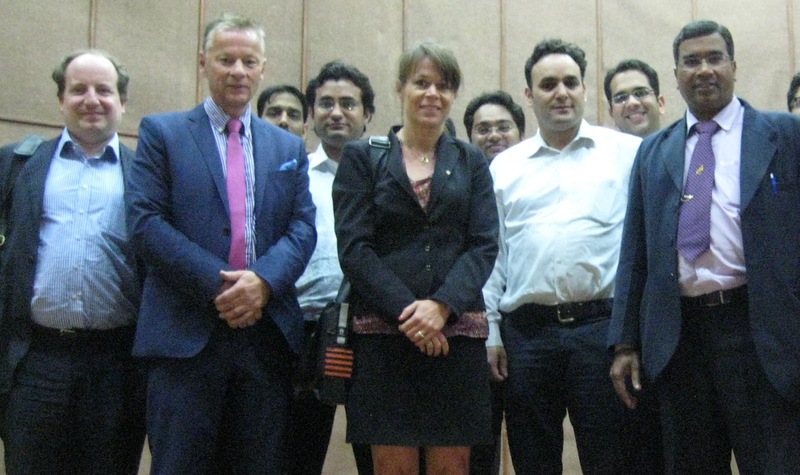 Swedish and Swiss Tetrahand Surgeons visited the Indian Spinal Injuries Centre in New Delhi to discuss the concepts of surgical reconstruction in Tetraplegia. Dr Mishra, director of the service (to right in picture) presented the hospital´s overall philosophy and the possibility of developing the reconstructive upper limb surgery in conjuction with specialists from overseas. Drs Gohritz, Fridén and Reinholdt (to left in picture) presented the concepts of surgical rehabilitation in Switzerland and Sweden.